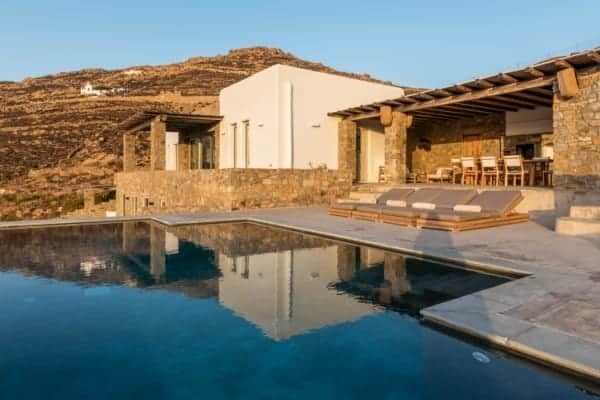 When it comes to home amenities, this elegant and luxurious villa offers guests an embarrassment of riches. 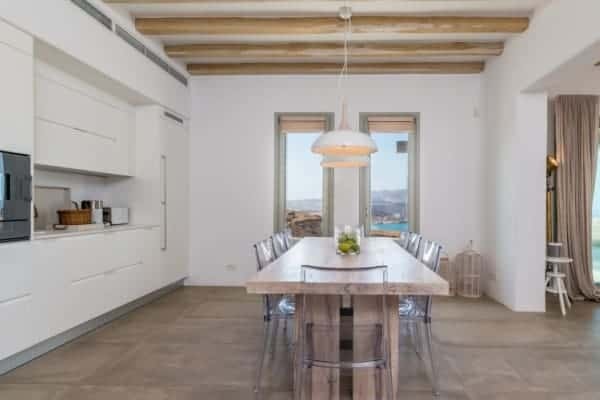 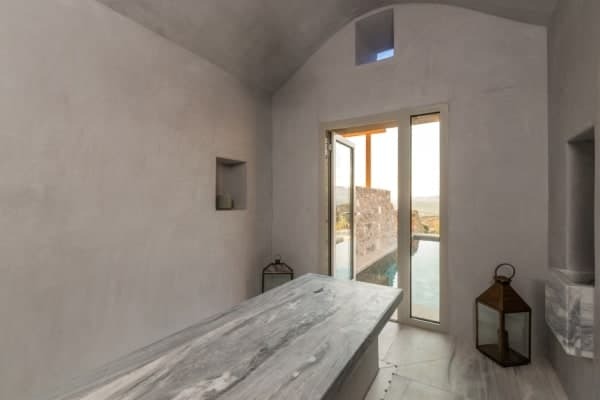 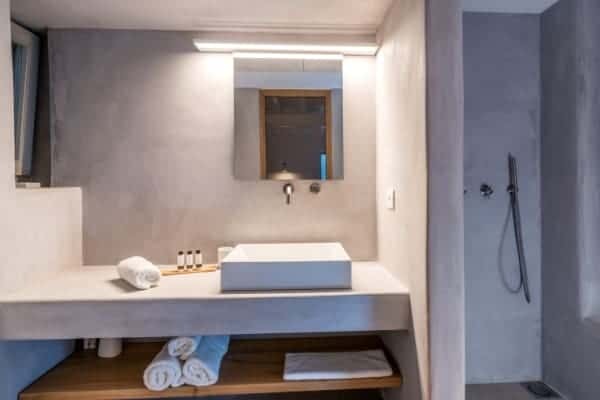 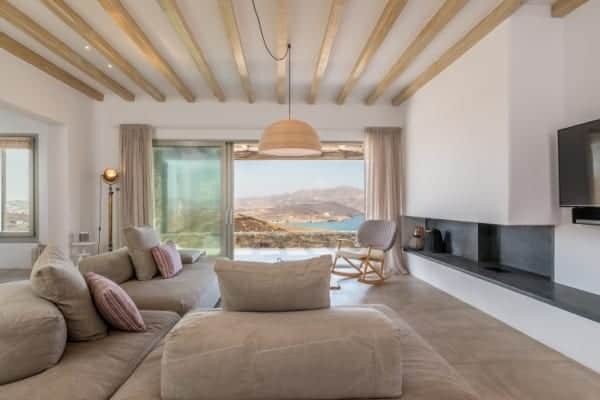 Perfect for fans of modern architecture, this property was built in 2018, and comes equipped throughout with the latest home automation technology, indoor and outdoor sound systems, two swimming pools (one of which can be heated at extra cost), a hammam, a gym, and an outdoor jacuzzi with stunning views over the north bay of Mykonos. 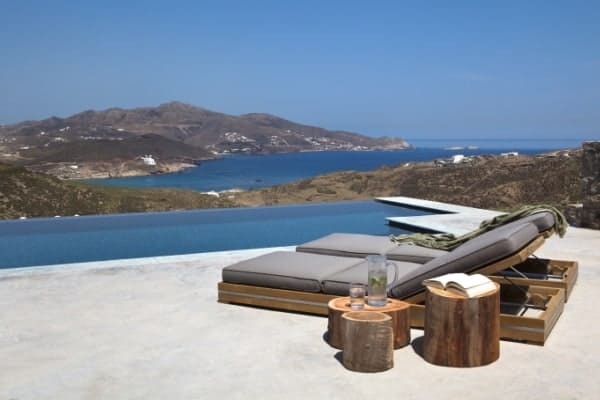 The terrace, which is finished to blend in seamlessly with the surrounding granite cliffs, also features an outdoor kitchen and dining area, a barbecue, and a stunning infinity pool that stretches out over the Aegean Sea. 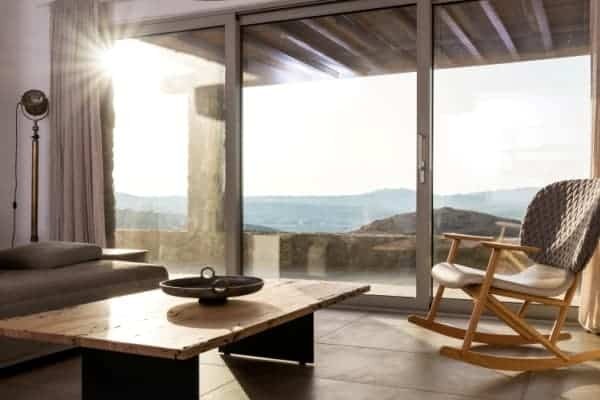 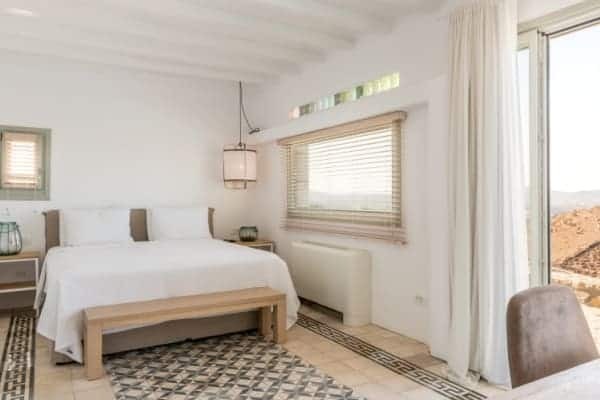 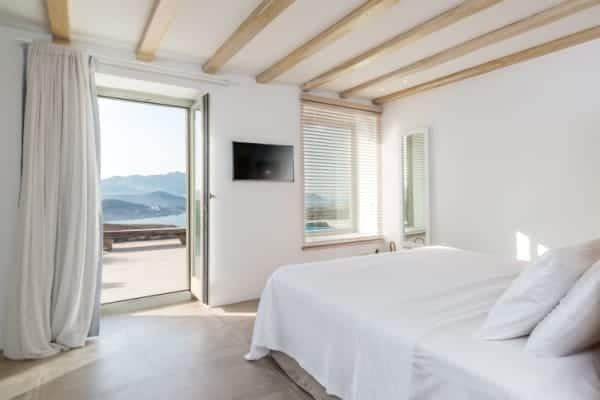 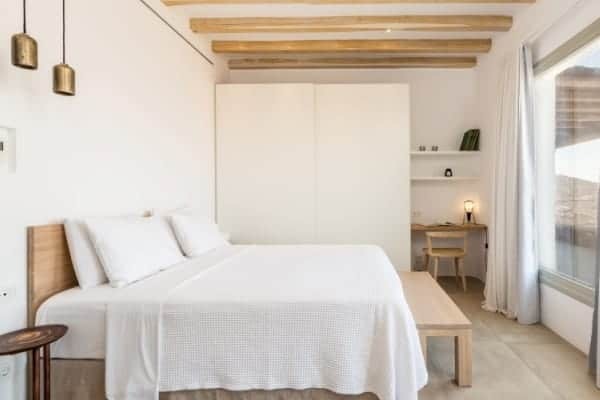 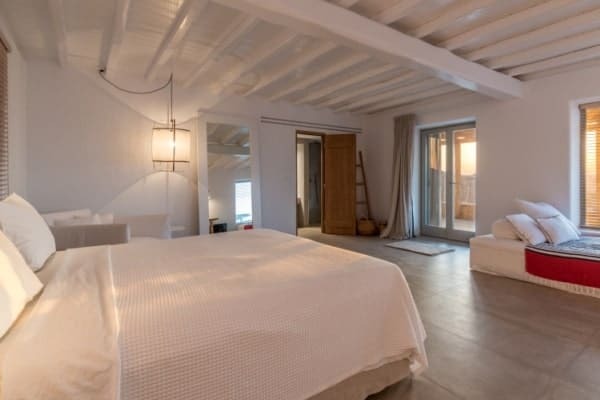 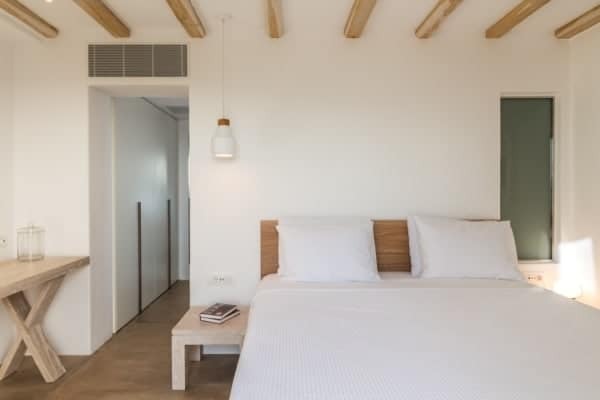 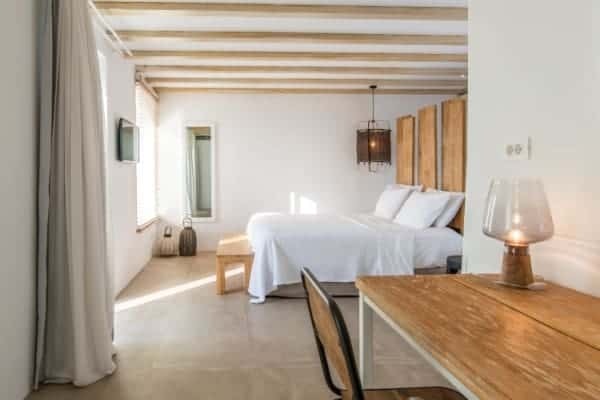 The interior of the property is decorated tastefully in the modern chic style, with wooden roof beams and touches of traditional Greek stonemasonry. 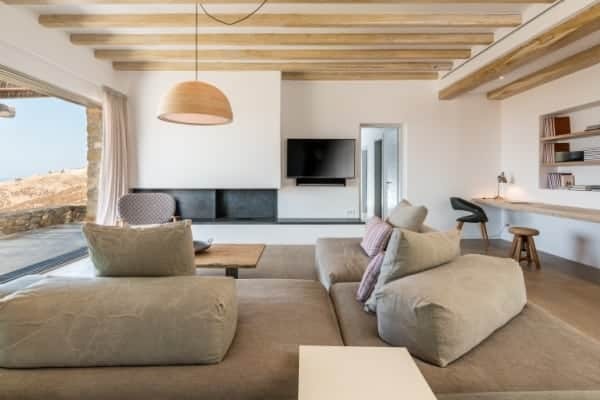 The living areas are airy and spacious, with comfortable, modern furnishings and tasteful flourishes of unique and original art. 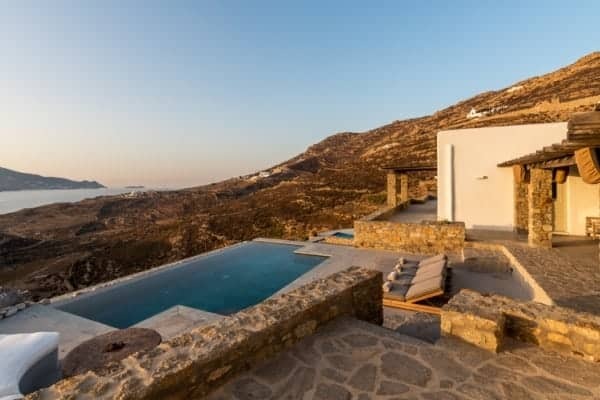 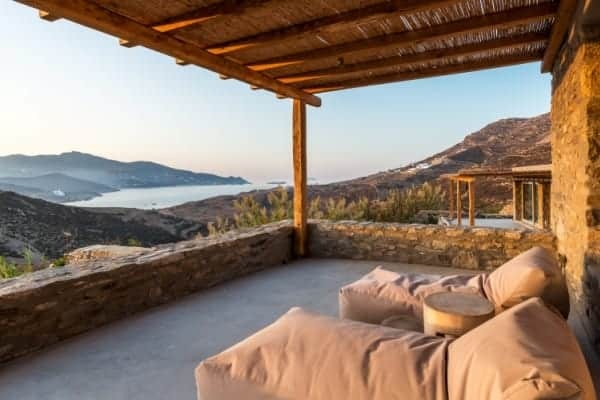 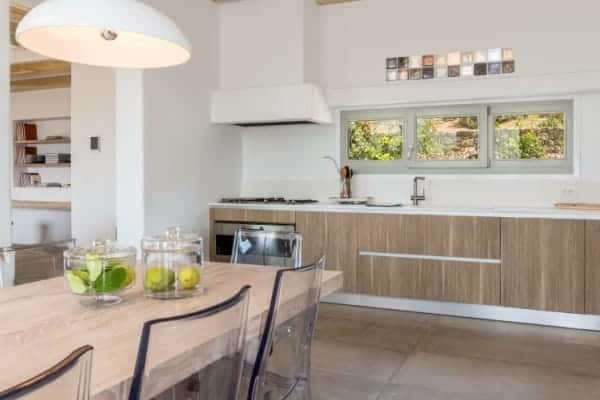 The villa is perfectly located for a mixture of convenience and tranquillity, being 5km away from Mykonos town, and only a stone’s throw away from the renowned Ftelia beach. 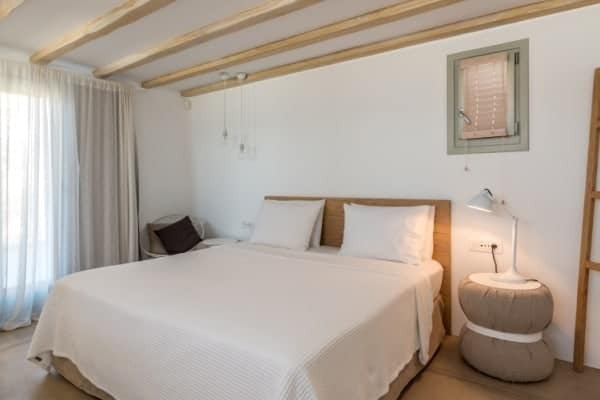 The property can sleep twelve people comfortably, with six en suite rooms and ample parking space on premises. 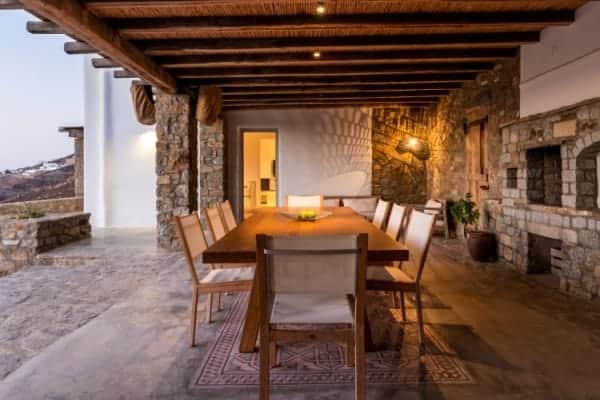 A stay at this highly-luxurious villa would be an unforgettable experience for any family or party of friends. 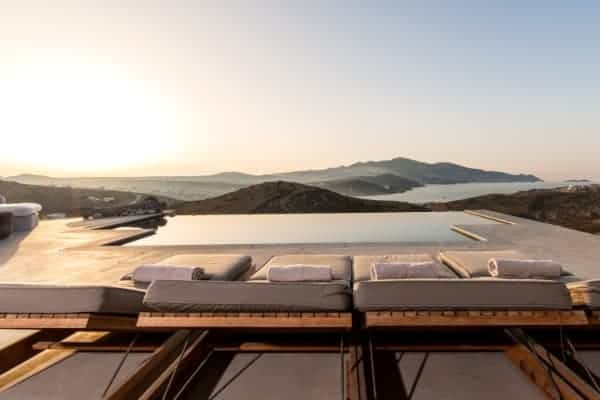 An evening spent watching the sunset from the infinity pool, sharing cocktails and fine food with loved ones, and enjoying one of the most beautiful views in the Cyclades Islands would surely become a cherished memory for many years to come.